Cast: Michael Fassbender, Marion Cotillard, Paddy Considine, Sean Harris, Jack Reynor, David Hayman, James Harkness, Ross Anderson, and David Thewlis. Based on the William Shakespeare play of the same name, Macbeth may be one of my favorite Shakespeare plays, because I love the complicated characters of Macbeth and Lady Macbeth. It also lends itself to be interpreted in many different ways – like all Shakespeare’s plays – Hollywood has made many different versions of the character from Orson Wells directing and starring as the character himself, Roman Polanski’s take starring Jon Finch, and even a modern-day gangland iteration from Australia which starred Sam Worthington. However, director Justin Kurzel and the cast take a more visually impactful, grim, gritty and artistic film that would probably make Shakespeare himself proud (too much?). 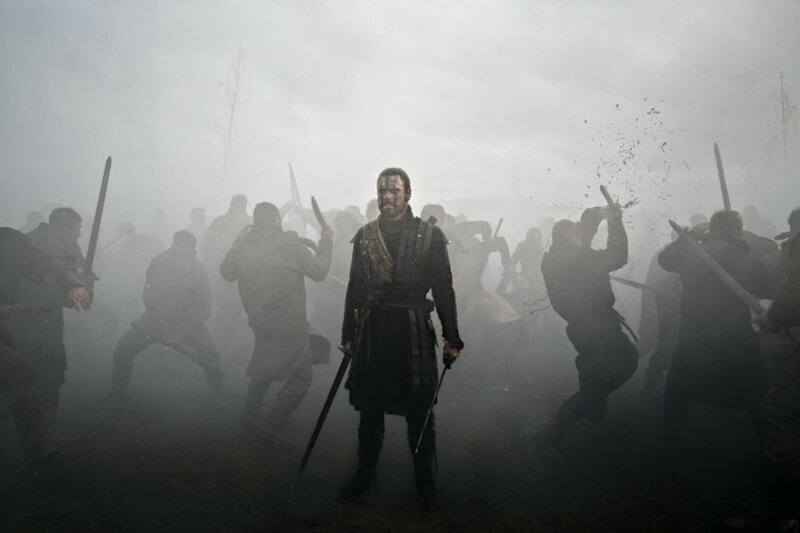 Michael Fassbender plays Macbeth, the Thane of Scotland, who at the beginning of the film leads King Duncan’s (Thewlis) army to victory in a bloody battle that gets him a better place amongst Duncan’s court. After the battle however, Macbeth along with his friend and battle partner Banquo (Considine) encounter four witches – three adults and one child – that tell him Macbeth he will one day become King of Scotland. 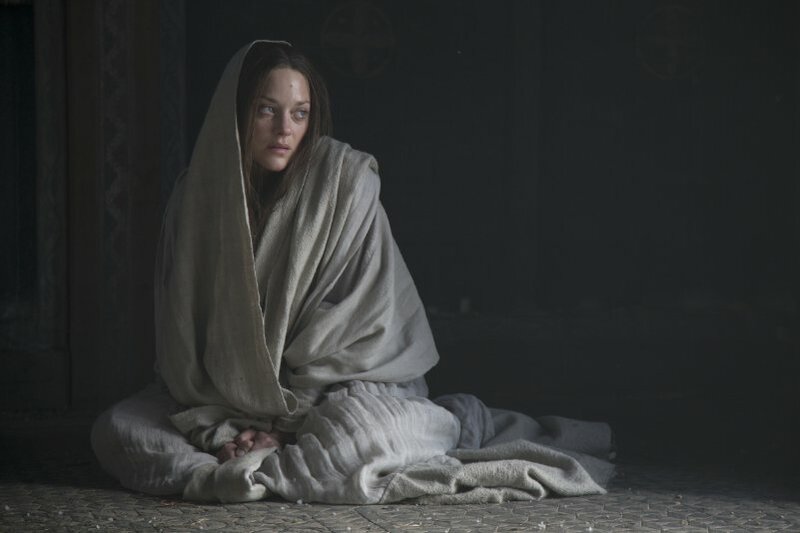 Macbeth curious of their prophecy goes back home and tells his wife Lady Macbeth, played by Marion Cotillard, of what he was told and she convinces him to fulfill his destiny and kill the king himself, rather than wait to let the crown be passed on to Duncan’s heir, Malcolm (Reynor). If you know the play – or watch the trailers – Macbeth eventually convinces himself, of course with much convincing from his wife, and kills Duncan in his sleep. Macbeth becomes king, takes the throne and slowly grows paranoid of everyone around him, including his own friend Banquo and Macduff (Harris). What follows is his and Lady Macbeth’s own descent to madness and paranoia that lead them deeper into darkness with no way of coming back. I’ll be honest, it’s hard to review a film based on a play that maybe most of us, if not all of us, read in high school or maybe even college. But, like I mentioned, the play happens to be one of my favorites and when I found out that this was being done with Fassbender and Cotillard, I got really giddy and excited. Thankfully, the movie didn’t disappoint. Sure they changed some things around, like the fact that there are four witches instead of three, even though the youngest witch which happens to be a child never speaks, or even that some events are tweaked, omitted or even added, but truth be told, the changes they made really make the film work. I’d dare say that of all the Macbeth films I’ve seen this is the most moody and grimiest take I’ve seen. That could be thanks to cinematographer Adam Arkapaw who does a fantastic job of making every scene feel different from the next and giving the film it real dark, gritty and down to the bone artistic type of the film that sometimes make you wonder if what you are seeing is all in Macbeth’s head or if it’s really there. Hell, some of the scenes and shots look like a moving painting and are stylized in such a way that brings you into the gloomy atmosphere of the film. One of the big highlights is the last act of the film that involves the “Birnam forest” and the final battle which has a fantastic atmosphere that I loved being a part of. 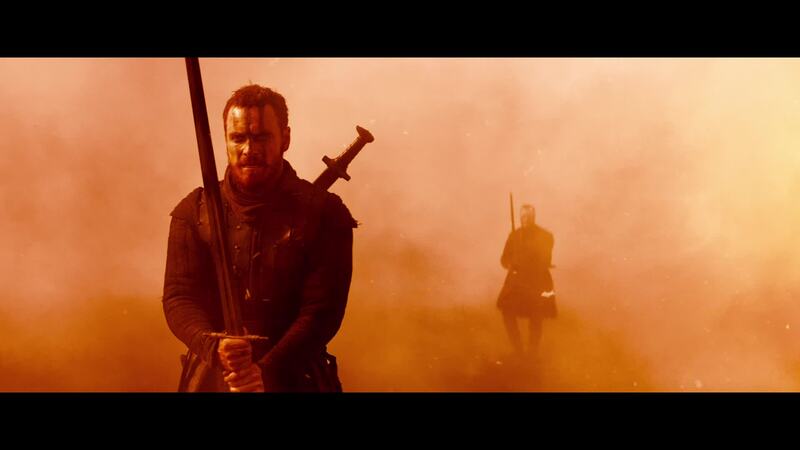 Add that with the amazing production design and wardrobe, Macbeth is probably one of the best looking films of the year. It truly is probably the best looking Shakespeare adaptation ever made. 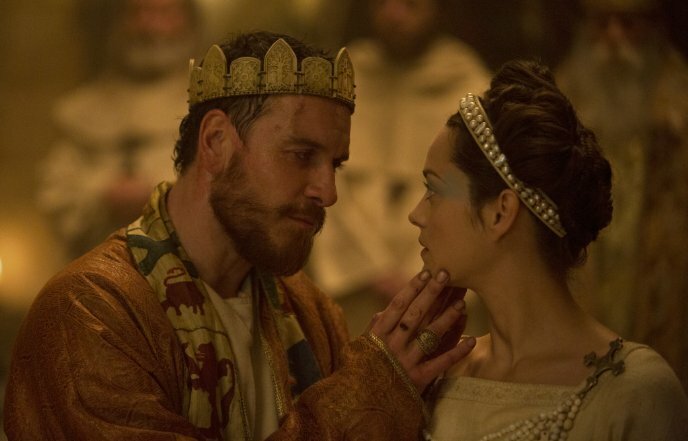 But, when it comes down to it, Macbeth works because of two people: Michael Fassbender and Marion Cotillard. Taking on these two characters isn’t the easiest task – especially in the Shakespearian verse – but both Fassbender and Cotillard are and were highly capable to bringing these two twisted and complex characters to life in their own way. Fassbender’s portrayal slowly unravels as the film goes on. You can see him become paranoid of everyone around him and the grand diner scene is something that was truly great to witness. 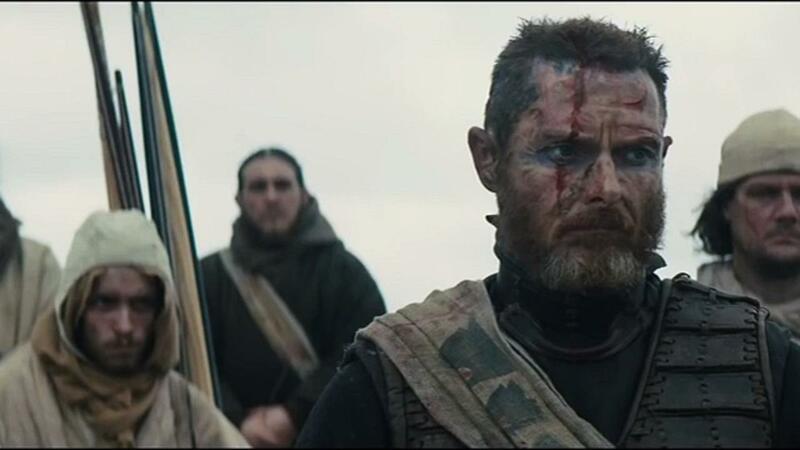 Even the famous “O, full of scorpions is my mind” speech is something that Kurzel and Fassbender bring to life so well that Macbeth is literally saying the lines as he’s clenching his teeth and is about to crack. When it comes to Cotillard, some of her scenes are just amazing to sit through. For most her scenes, including the “to bed” scene, Kurzel simply just lets the camera linger and slowly move in on Cotillard as she delivers her lines. Her take on the character, for me, proves that Lady Macbeth is much more of a tragic character than Macbeth himself. She can see that monster that she created and the monster than she allowed herself to be. She wanted the power and pushed and manipulated her husband to kill the king so they can take it all, but the cost is something she didn’t think of. Dare I say, Cotillard steals the film from Fassbender, which is not an easy task nowadays. The supporting cast aren’t too bad themselves, but with Fassbender and Cotillard having most of the screen time it’s reasonable why they’d be overlooked. Sean Harris, who plays Macduff, plays Macduff as a more silent type at first, but when pushed to his own breaking point he becomes a mad and rage-filled man himself. Paddy Considine is almost unrecognizable as Banquo and delivers a great, short and sweet performance. The same can be said for Elizabeth Debicki, who plays, Lady Macduff. She only in about three scenes total, but one of those scenes completely delivers and changes everything for one of the characters. 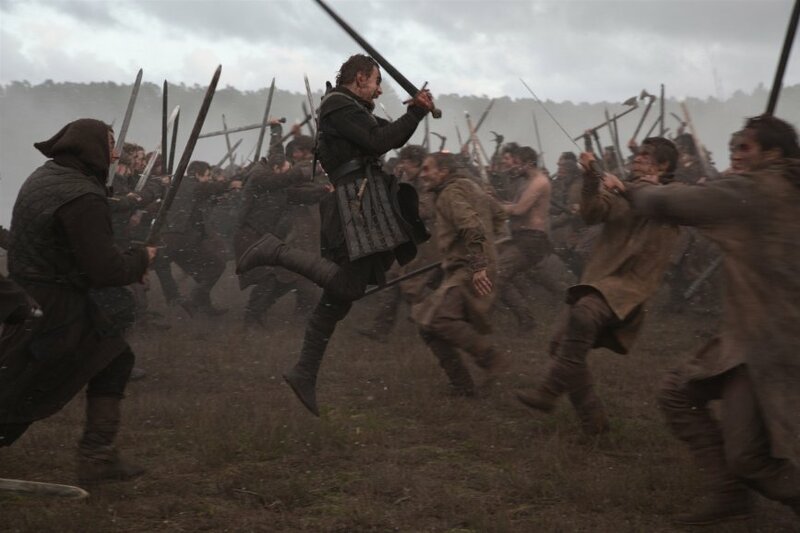 All in all, Macbeth is a great atmospheric, gloomy, artistic iteration and approach to the famous characters. 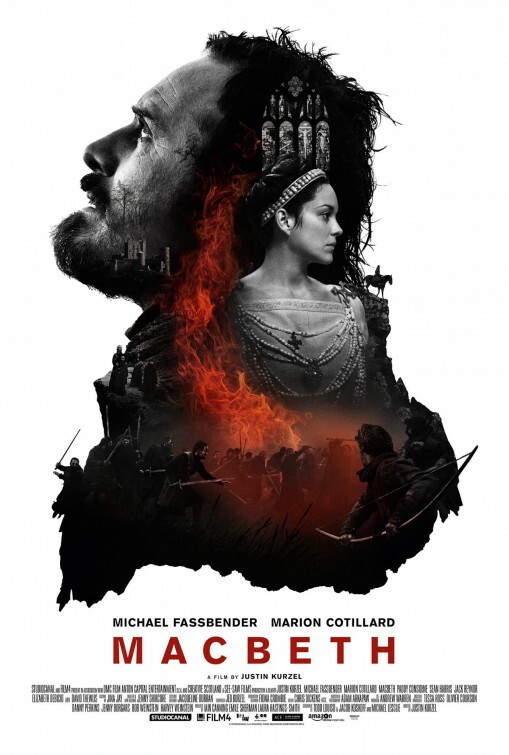 Michael Fassbender and Marion Cotillard bring their A-game with director Justin Kurzel to deliver a great film that like all Shakespeare material will probably have to be watched multiple times absorb everything. All good things must come to an end, and in this case, with a pint of beer. 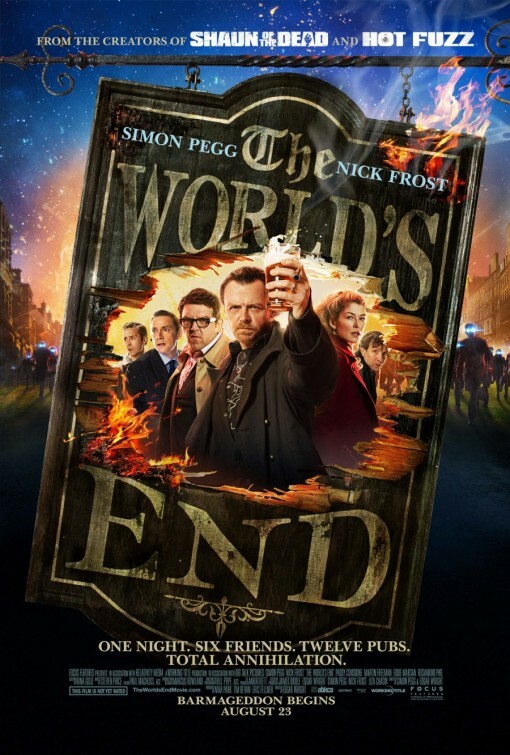 Edgar Wright, Simon Pegg and Nick Frost bring an end to their so called “Blood and Ice Cream Trilogy” (or The Cornetto Trilogy) with The World’s End. The trilogy started with Shaun of the Dead then to Hot Fuzz and while the movies aren’t sequels or share the same universe (besides all being set in the U.K and have the ice cream Cornetto) the movies do share the same themes. Every movie has theme of friendship and growing up in some senses. In the early nineties a group of five friends, led by fearless schoolboy rebel Gary King (Pegg), attempted to complete the infamous “Golden Mile.” It consists of twelve pubs and the goal for Gary is to have one beer at each. But, they have never made it to the end. Now an adult Gary convinces and drags his now estranged friends Andy (Frost), Oliver (Freeman), Peter (Marsan), and Steven (Considine) complete the journey from years past. Unfortunately for Gary all of them have grown up and are successful businessmen, husbands, and fathers but they reluctantly follow him back to their small town of Newton Haven. But during the crawl they realize that the townsfolk are a bit different and odd. Eventually finding out (the hard way) the town has been taken over by robots impersonating their former neighbors. Already a bit buzzed at this point they decide to finish the crawl thinking they’ll be safe, but of course their not. It’s probably going to be a bit hard for people to not compare this with the previous films and you shouldn’t. Unlike the other films, Pegg is the oddball here and not Frost. Pegg even though an adult still acts like he’s a teenager and may make him unlikeable to many viewers, which is okay. That’s kind of the point. It’s Pegg’s performance however that so great it’s fun to watch. It’s near the end that his performance shows Pegg isn’t just a comedic actor. Interestingly at the other end, its Frost that is cast against type in the role of Andy, a corporate lawyer, a rugby player, and family man. He was once Gary’s best friend but something happened that made them drift apart. It a nice change to see the switch around and the tension between the two is fun, different, and more mature to see. The film features plenty of familiar faces, but it’s the core of five friends that really carry it. Eddie Marsan, Paddy Considine, and Martin Freeman are all given individual moments to shine, but fit in well within the larger ensemble. Rosamund Pike is great when on screen but is given relatively little to do, though she really shows just how Gary never really grew up. Of course, as with all of Wright’s films, everything is wrapped in a genre shell. There’s always time for a dramatic moment (that surprisingly doesn’t slow down the movie much) even if blue-blooded robots are looking to hurt our heroes. But it’s the robot design that’s pretty cool. The robots are kind of ceramic/plastic filled vessels with blue blood, and shine blue light from their eyes and mouth when angered. To an average moviegoer, it might seem lazy but combine it with Wright’s sense of style it’s pretty smart. All in all, The World’s End is very different from the past films and steps up the game acting wise and action wise. Seriously the fights scenes in the movie caught me off guard. However, this being the last film of the Cornetto Trilogy it is truly a great way to go out.